These boot have saved my life a time or two. Just don’t buy the older style without the zipper the seam will come apart at the back. Do you make the boots or not? Poor reflection of supply chain and ability to meet demand. I just got an email saying my size is back in stock... I went to order and now out of stock again. Bought these boots 9 years ago and have worn them from archery season, through the end of deer season and again in Spring Turkey season. Very comfortable, wear very well and provide excellent protection in South Texas against rattlers and other sharp things! Zippers are excellent, do not rub or bind against your ankles. Will be buying these again! Leather is extremely stiff and not easily bent. Boot is very hard to get on. These are just not what I expected! 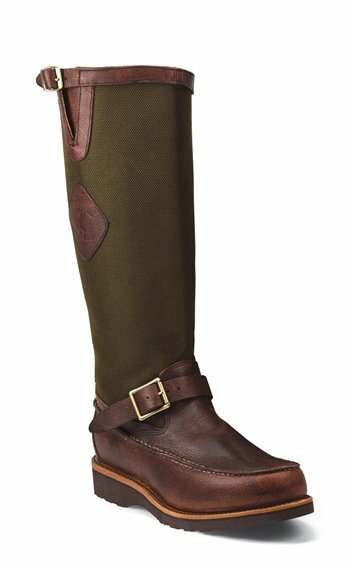 Great boots for quail hunting! I liked my first pair of Chippewa snake boots so much I wore them out. These are an upgrade. I love the zipper for the ease of getting the boots on and off. Went quail hunting two weeks ago in South Texas and they worked well. My buddy's were all concerned that my new boots weren't broken in and I was going to tear my feet up. No problem there, the boots were exceeding comfortable! Fit great and comfortable out of the box! Love these boots. I have a version of these boots. I normally wear E-width, but I got these in D. They were slightly snug at first (along the sides). The length was perfect. After wearing them, and breaking them in I was glad I bought the slightly narrower version, because now they fit perfectly. Also, they are very quick to get on and take off, which makes me choose these over my lace up snake boots 9 times out of ten. In addition, I have found them to be bite proof against copperheads (several), Cottonmouths (a few), and a coral snake. None of the snakes would have bitten them except that I got them to do it, after restraining them (everyone of them just wanted to get away). Once their job was done I let them go their own way, unharmed as one should. I have not tested them with Rattlesnakes, mostly because our rattlesnakes in Virginia are so darned mellow.